Chef Stephen spent the first 9 years of his career honing his home-cooking skills at The Good Food Emporium where fresh, locally and internationally -inspired food was in demand. Here at the Timber Lounge, Stephen is excited to break out of the breakfast and lunch business and to venture into evening fare, bringing his cooked-from-scratch ethos to everything from nachos and charcuterie to pulled pork and soft-shell tacos. 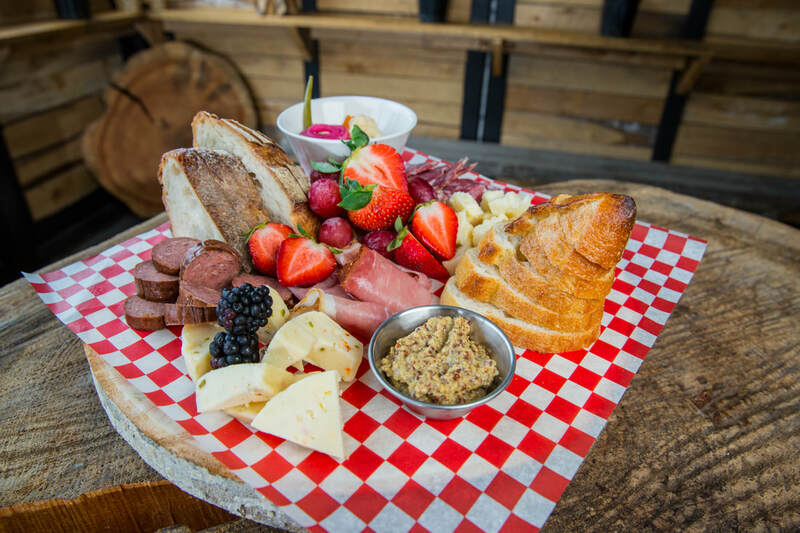 ​Watch out for seasonal menus and specials featuring local bread, meat and produce. ​Catering Menu available for larger groups. Warm, organic tortilla chips with Monterrey Jack cheese and all the fixin's. Hot, hearty and spicy chili, fit for a lumberjack or lumberjill. Westfalien ham, genoa salami, old cheddar, blue and herbed goat cheese served with bread from the LF Bakery, rye crackers house-made mustard and pickles. Crunchy tortilla chips topped with our homemade chili, Monterey Jack cheese, pico de gallo, and tangy dill pickles. Served with sour cream.